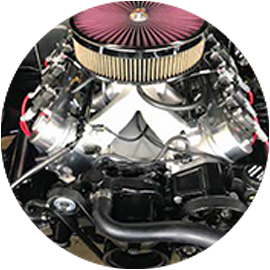 Pro-Flo 4 is not just a replacement for your carburetor, it’s a complete engineered system that provides the ultimate in performance, drivability and quality. With Pro-Flo 4 EFI’s computer controlled multi-port injection, hard starts are a thing of the past. 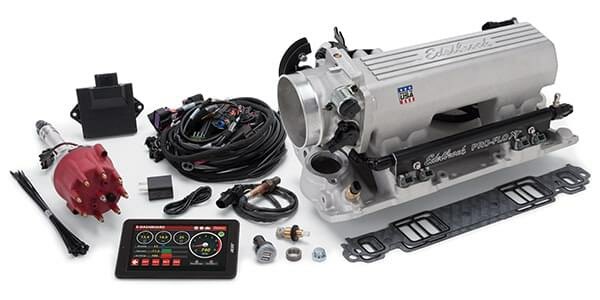 All Pro-Flo 4 EFI systems are warranted directly through Edelbrock for peace of mind! 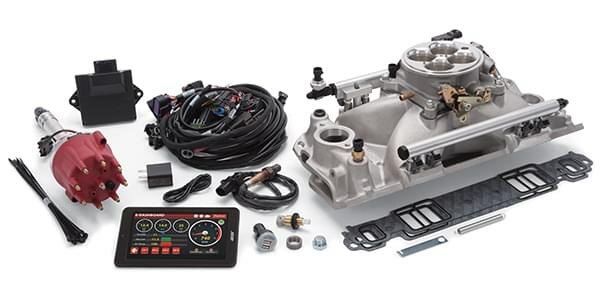 Pro-Flo 4 EFI has the potential for improved fuel economy when upgrading from a carburetor. WHY YOU SHOULD UPGRADE TO PF4 EFI? Watch the video to discover how the new Pro-Flo 4 EFI Systems can drastically improve the performance, drivability and quality of your vehicle! NOT CONVINCED? SEE WHAT OTHERS HAVE TO SAY. Pro-Flo 4 Electronic Fuel Injection also gives you the ultimate control of your engine when using the Advanced Tuning features. These features give you the ability to easily adjust your ignition curve specifically for your engine setup, eliminating the hassle, complexity and limitations of the standard distributor advance mechanism. This type of control will result in a smoother idle, faster acceleration, better peak power, improved fuel economy and the ability to control detonation, all with the touch of your finger in the E-Tuner 4 app. 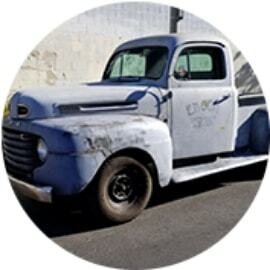 E-Tuner 4 App is available free from Google Play Store, Android devices will receive automatic App update notifications as Edelbrock releases updates. WHY IS PRO-FLO 4 EFI BETTER THAN A THROTTLE BODY STYLE EFI SYSTEM? Throttle Body style EFI systems feature fuel rails and injectors mounted directly to a throttle body. 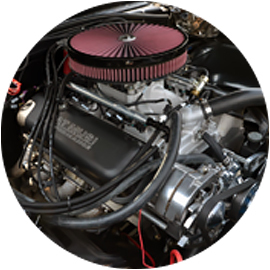 This design delivers the fuel into the air flow stream in the plenum similar to a carburetor. It’s the most universal type of Electronic Fuel Injection system, but it’s not ideal for high performance engines. Mixing fuel this way allows for it to puddle and condense in the plenum of the intake manifold, a recipe for hard cold starts. Another drawback is the delayed throttle response since the fuel must travel through the intake manifold to the combustion chamber. This can also cause the air/fuel mixture to separate as it flows to the cylinders, resulting in an uneven mixture between cylinders. Typically, the center cylinders run slightly richer than the outer cylinders, hindering tuning for peak fuel economy and peak performance. The OEM’s only utilized throttle body style injection for 9 years before transitioning to sequential port fuel injection for improved drivability and efficiency. Pro-Flo 4 EFI systems feature a high performance Edelbrock intake manifold with a 1,000 cfm throttle body, fuel rails and individual injectors for each cylinder. Key to the improved performance of a system like this is the fuel injector location, which is at the end of the runner on the intake manifold right before the air flow stream enters the combustion chamber. This location provides a more efficient mixture control thats unaffected by varying intake manifold runner temperatures and length. 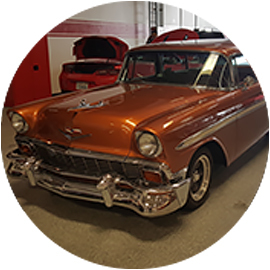 The fuel injector is also timed with the intake valve opening, giving the ultimate control and is the most efficient way to deliver fuel into your engine. This design produces the best fuel atomization and precise distribution to each cylinder for the ultimate performance. 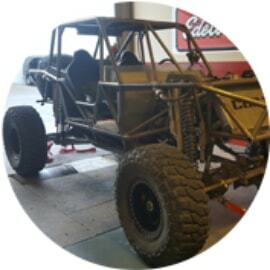 "The install of this kit was a breeze considering the entire manifold is already assembled and the harness is completely plug and play; an easy Sunday job over the fender. It was a shame this car sat for 5 years because I got tired of rebuilding the carburetor all the time. Now it fires right up no matter what the weather is like or how long it has sat. On top of that it idles perfectly, throttle response is amazing at any RPM, and gas mileage has increased dramatically. 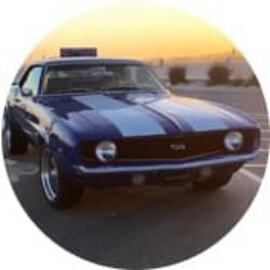 Pro Flo 4 has made my 1969 Camaro daily drivable which I would have never thought possible."